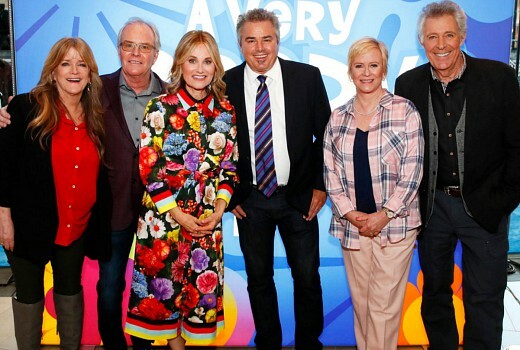 Legendary actors from The Brady Bunch (all 6 of them) have reunited on US television for the first time in 15 years, ahead of their upcoming appearances on the HGTV series A Very Brady Renovation. It’s a rarity for them all to appear together as often 1 or 2 will decline or be annoyingly unavailable. The cast appear in episodes of the HGTV series which renovates the exterior Los Angeles home to resemble the interior of the famed sitcom. It screens in the US in September. Hoping we get this one in Australia….! It’s been 50 years since the launch of “The Brady Bunch”, and all of the Brady siblings are here with us this morning!